When I started researching options for where to eat vegan in Reykjavik, I honestly wasn’t expecting much from a nation that eats puffin, shark and whale. But there is nothing I love more than being proven wrong about something, and Reykjavik emerged quickly as one of the most vegan-friendly places I have ever travelled to. 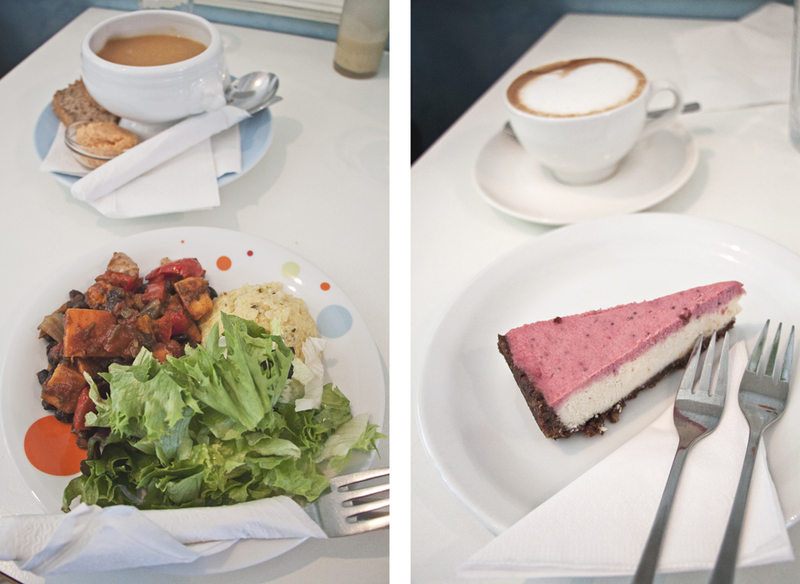 For such a small capital, Reykjavik boasts more vegan-friendly restaurant options that I could visit in 10 days and the options were as diverse as they are exciting. 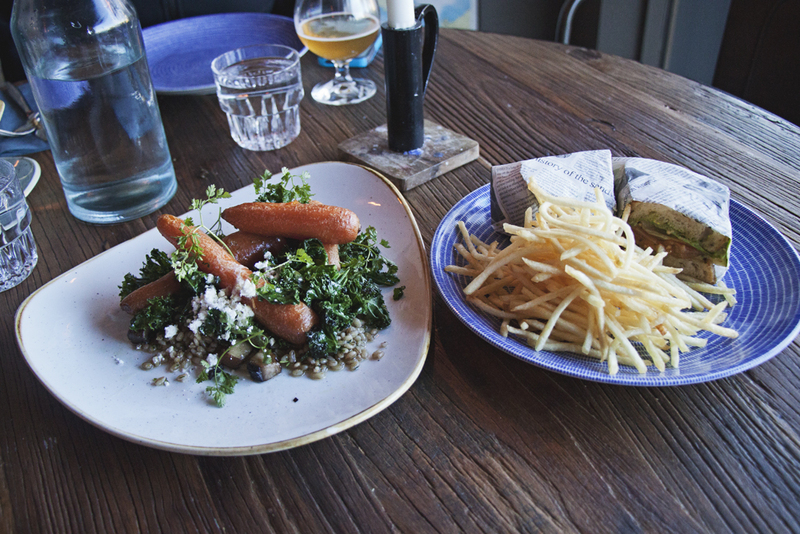 Here are my picks for vegan Reykjavik. I would love to know if I missed anything, so please let me know! Well fed and ready to explore the city? Check out my recommendations for activities and tours in Reykjavik! This combo record shop/cafe is the only fully vegan option in town and a nice hip place to hang out and rub shoulders with the city’s cool cats. There is a short menu to choose from (I heard good things about the lasagna) and a great selection of vegan cakes. The DJ spinning records is just the icing. Excellent coffee. It’s a bit difficult to catch this restaurant when it’s open, but when you do, it’s worth it! I was lucky on my 4th visit. 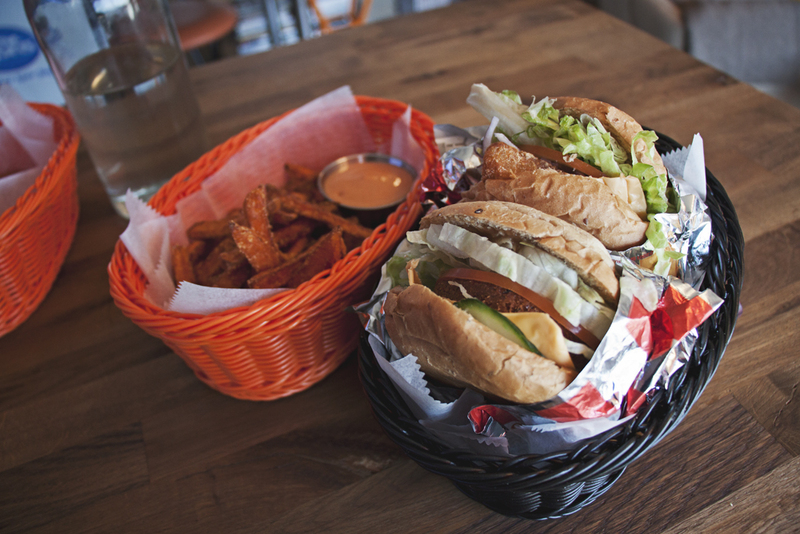 The prices are reasonable by Reykjavik’s standards and all the food is vegetarian, mostly vegan and gluten free. There is a daily changing menu and they have the best vegan dessert selection in the city, with over five different sweets to pick from. It’s not the most inspired decor, but the food is definitely worth the detour, just make sure you check their website for the opening hours. 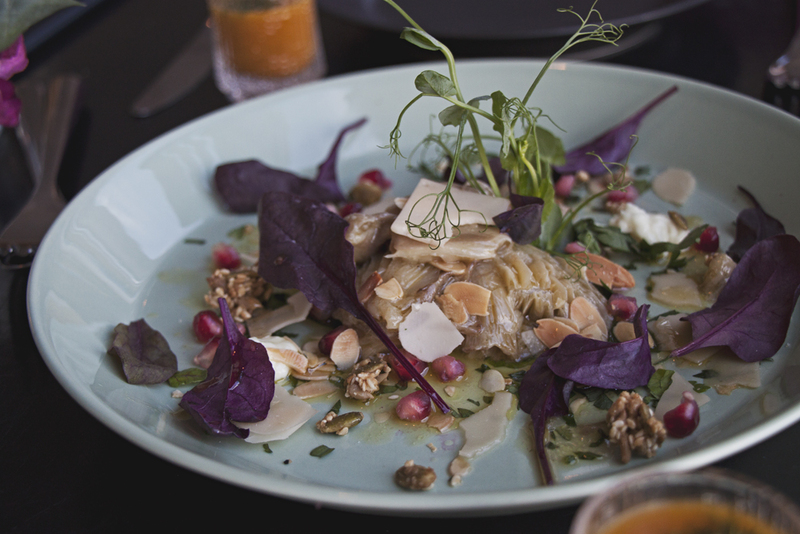 This classy restaurant located in the gorgeous Nordic House has an impressive menu served by celebrity chef Sveinn Kjartansson and showcasing local ingredients in an artful, creative and extremely delicious way. The menu showcases mostly fish with a few vegan options that are absolutely exquisite and 100% worth the detour. The highlight was marinated Icelandic oyster mushrooms with vegan cheese, pomegranate seeds, herbs, roasted almonds and little sweet crunchy clusters of pumpkin seeds, sesame and sunflower seeds that paired so well with the soft and juicy mushroom. All this was swimming in lemony oil and was just pure perfection. The main was a pumpkin burger with baked tomato, fresh herb and cashew nut pesto on a crunchy seed and nut cracker, a gorgeous, tasty and healthy dish. There is no vegan dessert per se option on the menu, but the wonderful waiting staff will literally invent something for you on request – I was served with an avocado ice cream, peanut brittle and lemon curd. I was thoroughly impressed by Aalto, it was phenomenal meal. This cool restaurant is ran by the loveliest couple ever! They’ve recently added vegan options on the menu and saw a huge popularity increase, so decided to expand the selection with a choice of burgers, koftas, French fries and dipping sauce of all sorts (including a vegan version of the ubiquitous Icelandic “cocktail sauce” which the co-owner Hjödís whips up herself). This was especially delicious as a wake-up feast on the day after a few too many cocktails – fried toast galore and dip everything! The menu also says “we can make vegan food at any time, just let us know what you want” – and they really will go out of their way to make anything your vegan heart desires so long as they have the ingredients in the fridge. Most of the ingredients are local and they have soymilk for coffee. Refreshingly knowledgeable, caring and interested owners. I even got a ride back into town! Self-service counter with healthy and nutritious soups, salads and wraps with some more consistent meals and always a few clearly marked vegan options. 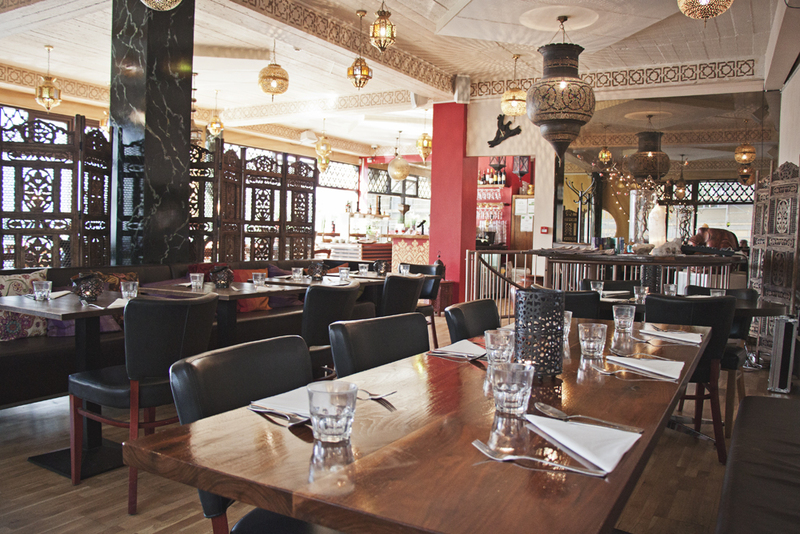 There is hummus and freshly baked focaccia bread in accompaniment with everything. 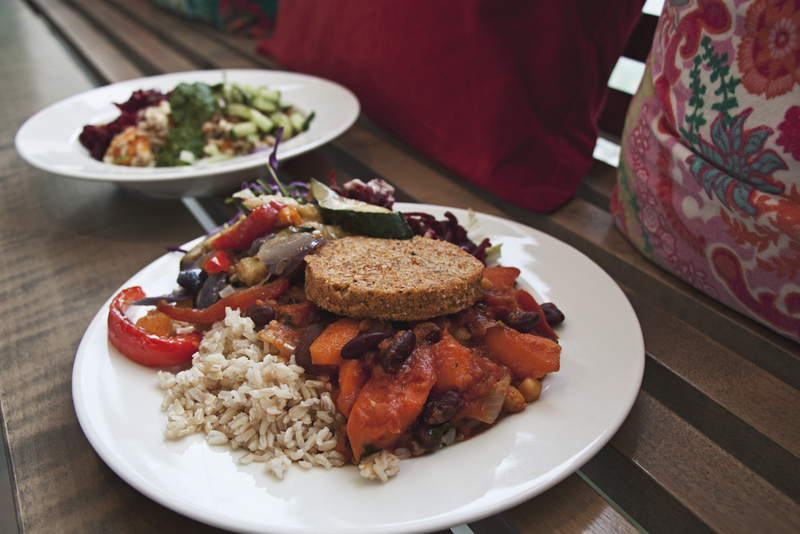 The main vegan offer on the day I visited was madras vegetable stew with vegetable patties, brown rice and salad, but it’s also possible to modify several dishes to make them vegetarian or vegan. Lovely and bright, perfect pit stop before or after visiting the Laugardalslaug heated swimming pool. A fantastic option as you’re driving out or coming into town, Flatbakan is a cozy and modern restaurant with friendly service and the best vegan pizza I have had in some time. 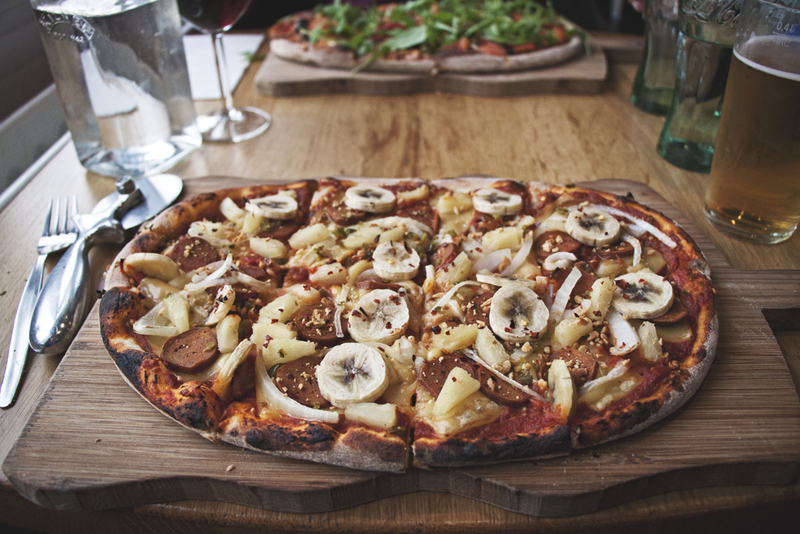 There is one specifically vegan pizza on the menu (it has bananas on it and it’s freaking delicious! ), but anything can be veganized, or you can make your own from the ingredient list. 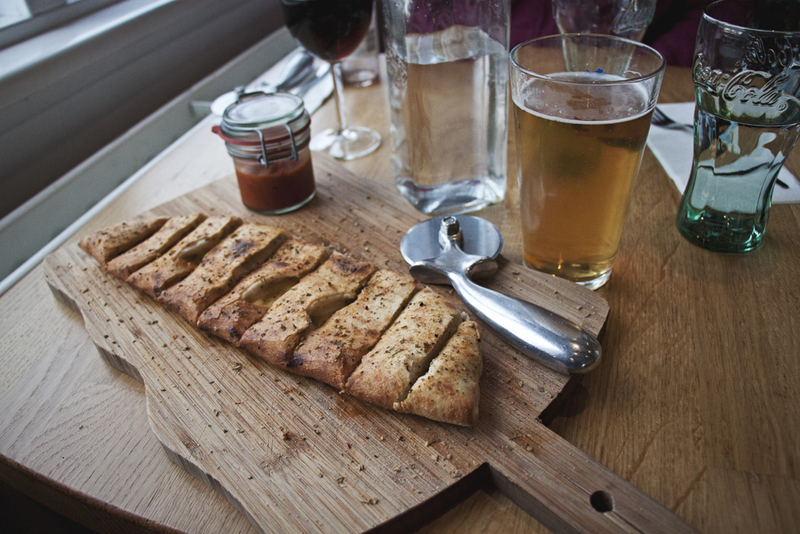 Don’t forget to sample the breadsticks, they are the bomb! This restaurant has expanded in the last few years to now have a few locations. I visited the one on Laugavegur in the center of town. It’s a beautiful café with a daily rotating menu featuring mostly vegan and several raw vegan options. The day I went, there was a curry coconut soup, a Thai curry, raw vegan lasagna with a selection of salads, and several amazing vegan and raw vegan desserts. All you have to do is pick a main from the menu, choose 2 salads and enjoy! Several items are also gluten free and everything is labelled so there is no confusion. Super friendly staff. 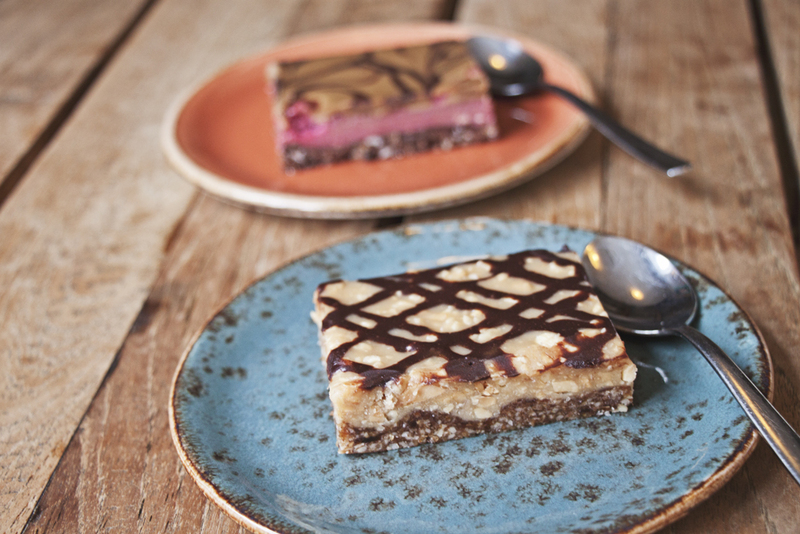 Make sure you save room for dessert! Get your sausage and fancy cocktails fix at this super cool hotel and hostel combo where I also had the pleasure to stay (read my full review here). 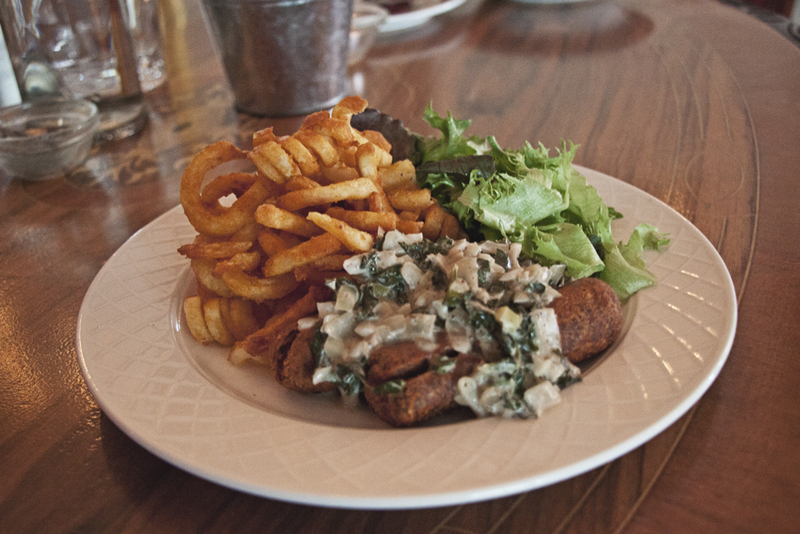 The main vegan option is a barley and kidney bean sausage (from Bulsur, you can find them in some grocery stores also) served with curly fries, fresh salad and coconut creamed kale. There are a couple more vegan options, a raw vegan cake, a great selection of wine and craft beer and a resident mixologist who will prepare all the libations your heart desires. Happy hour specials and live music on many nights from 4pm to 8pm. This is a lovely place to come and hang with a nice crowd of locals and expats who gather around the open kitchen for what is possibly the best brunch in town. 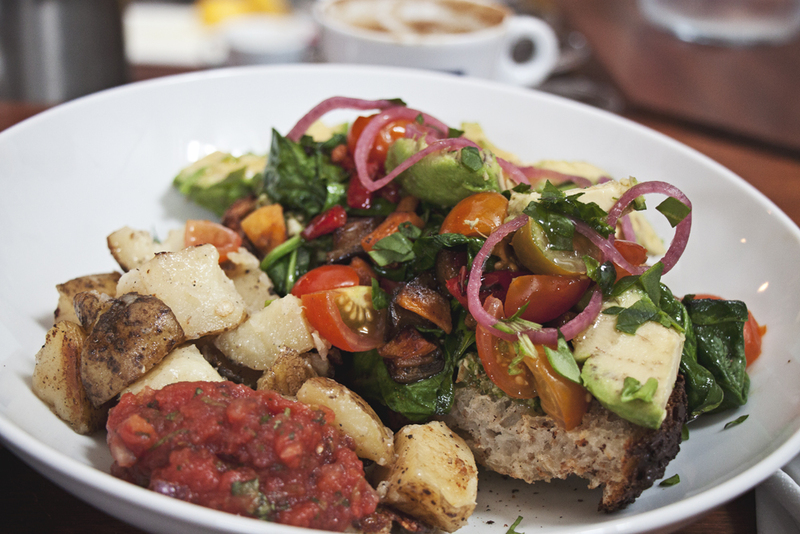 The vegan brunch option is a surprise from the chef – I was served a massive slab of their amazing freshly baked bread with pesto, roasted veggies, spinach, avocado, pickled onions and a side of potatoes. It was really delicious! The weekday menu features a vegan sandwich with marinated eggplant, grilled peppers and arugula pesto, and there is also one vegan salad option. Lovely freshly baked bread that you can also buy by the loaf. Strong coffee. Hells yeah. This is such a pretty little bakery. 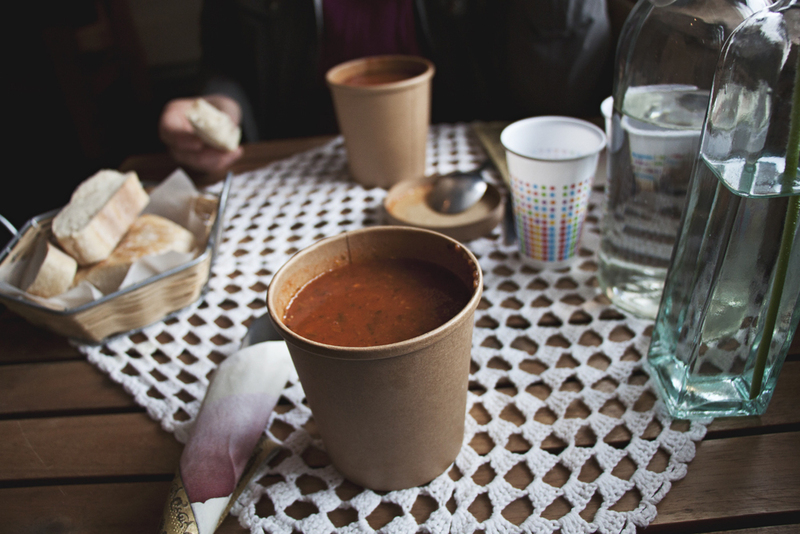 The soup of the day is always vegan and gluten free, but beware that bread isn’t always – just ask. The owner is very lovely and interested in travel and said she is planning to veganize more items, so check their Facebook page to know what’s up. The Italian tomato soup was delicious. Fab Indian eatery in the downtown core with a beautiful interior and very reasonable prices. There is no MSG, no preservatives, and no sugar used, and everything marked with a V is either vegan or veganizeable. 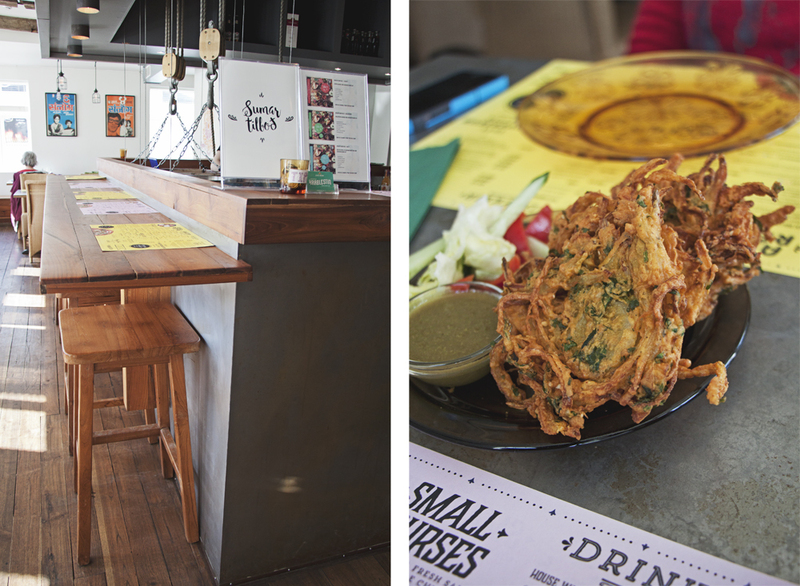 The onion pakoda was a delicious, light and crispy way to start the meal. 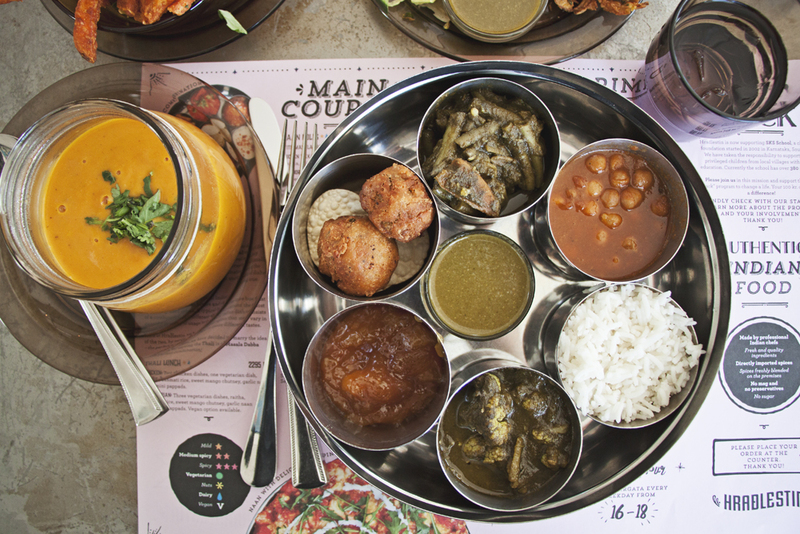 The main star of the show, the thali, is offered in a fully vegan version, but there is also the Indian coconut carrot soup, gun powder masala fries and a few more sides to pick from. The staff is friendly and knowledgeable and the branding is super cool. Spot on. This is a lovely little bakery on the outskirt of the city with delicious vegan and non-vegan bread and pastries. They also have a sandwich bar, but not a whole lot of vegan options. 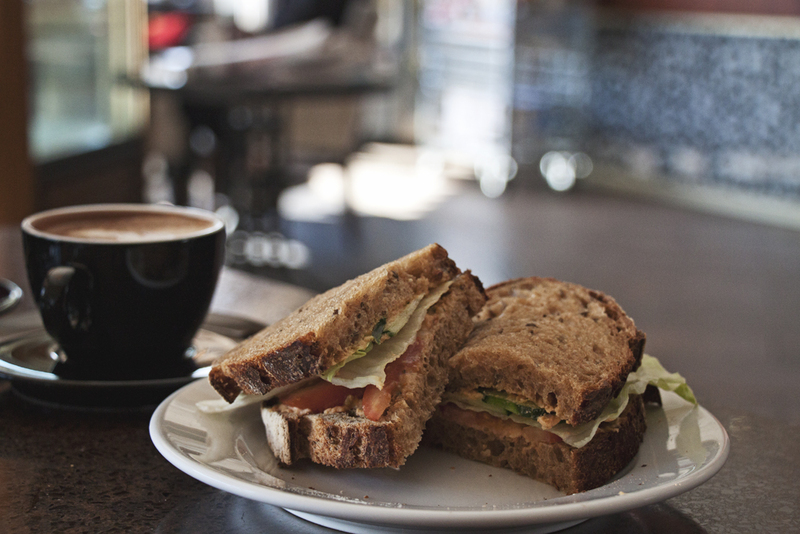 However, the staff is very lovely and if you buy a loaf of bread and a jar of hummus, they’ll make a delicious sandwich for you and give you the rest to go, which is excellent if you are driving out of the city to explore the surroundings. It may well be the last vegan pit stop on the way. There is soymilk for the coffee and the staff are the sweetest. 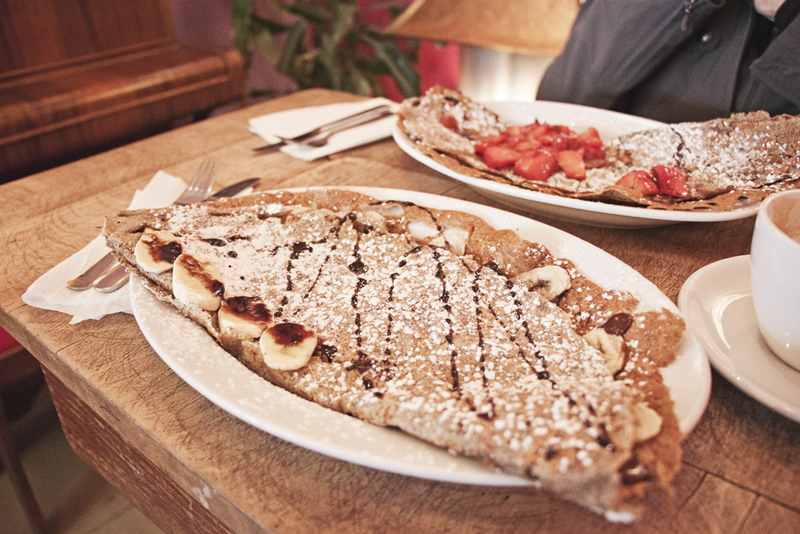 This is a lovely little family business where you can make all of your vegan crepe dreams come true! They have an excellent vegan and gluten free batter made of organic spelt flour with a bunch of different sweet and savory toppings to pick from. There is also soy, almond or rice milk available for the coffee. The interior is nice and cozy with vintage pieces and interesting artwork by the owner’s daughter, who was an absolute delight to meet and chat with. This is a really great value for money on top on everything. I kind of wanted them to adopt me. 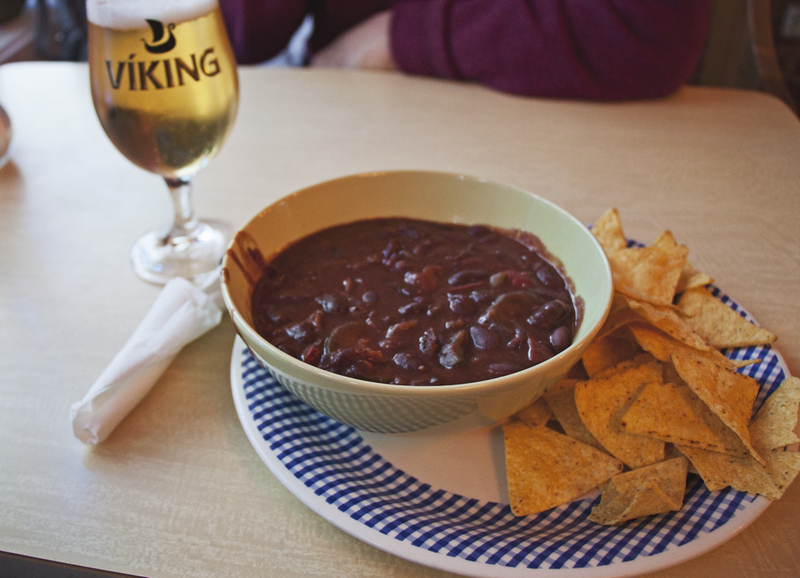 Bryggjan Brugghus is a craft beer heaven, and all the brews are certified vegan by the brewmaster. There is an impressive selection of vegan fare, notably the oven roasted cauliflower with mustard, lemon, garlic, thyme and capers, the vegan club sandwich with shoestring fries, the portobello taco (my fave!) and the baked carrots with portobello mushrooms, crispy kale, rosemary, garlic and barley. The dessert was a trio of sorbets from the next door ice cream shop (I had melon, raspberry and lemon-dill on a bed of crunchy roasted salted almonds and it was amazing!) 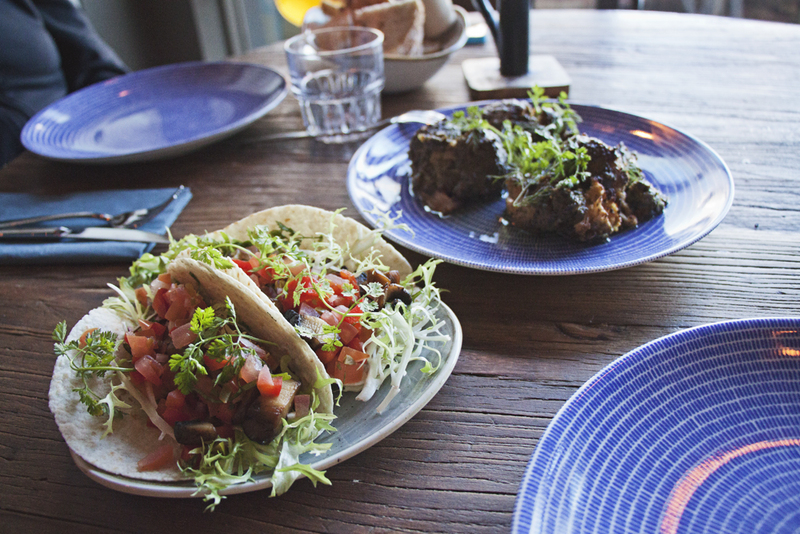 It’s a fairly newcomer on the city’s dining scene, and a super exciting one at that! Fantastic harborfront location. 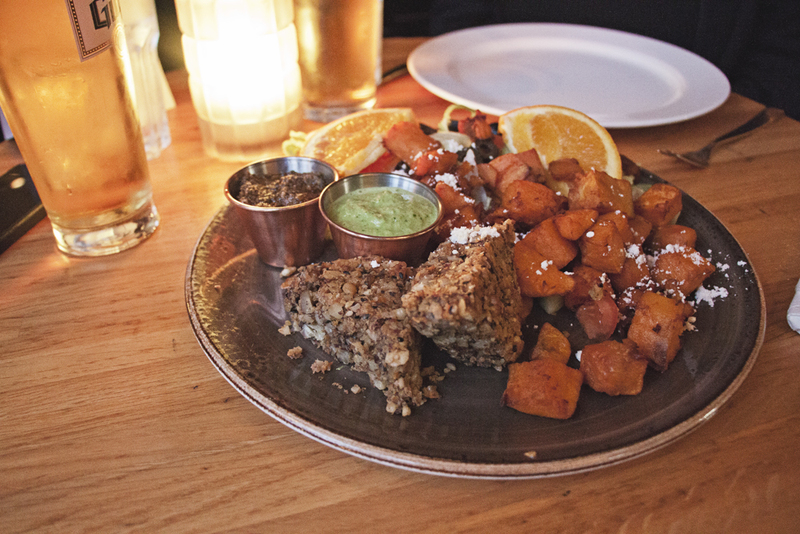 I am not sure why this place is as popular as it is, but it has one yummy vegan option on the menu and it is huge enough to be shared amongst two people, making it a good option in a city where eating out is rather expensive. 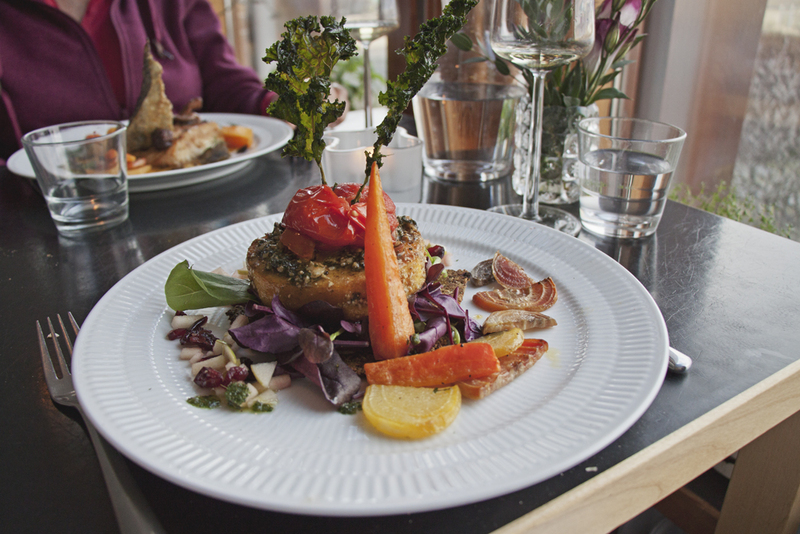 It seems like many restaurants in Reykjavik in fact have one vegan option – a nut steak, always! 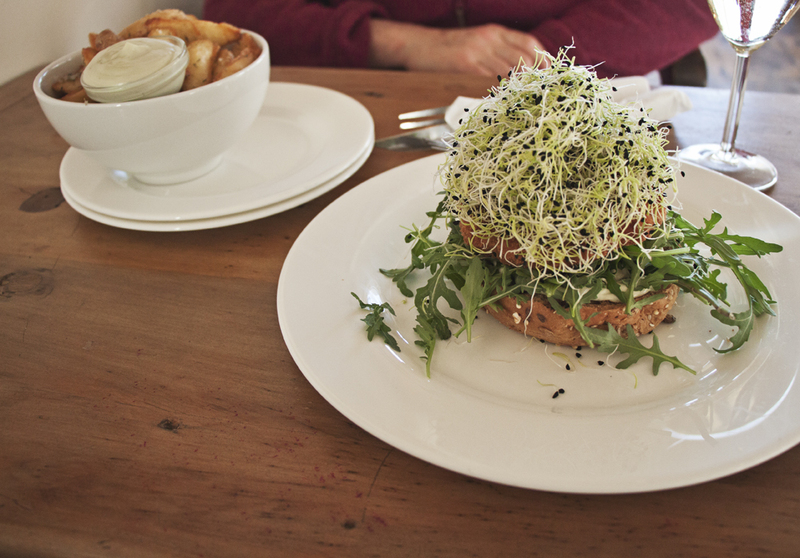 – so Vegamot is just one random recommendation where I happened to go amongst dozens of other options in town. The vibe here is nice and laid back and the nut steak (more like a vegan meat loaf I would say), was really quite delicious. Located right across from the wonderful Vesturbæjarlaug swimming pool and in a residential neighborhood just a few minutes from the downtown core, Kaffihús Vesturbæjar is a charming and cozy café that is absolutely worth the detour for a taste of the local life. The vegan burger is excellent and there are a few vegan desserts to pick from. 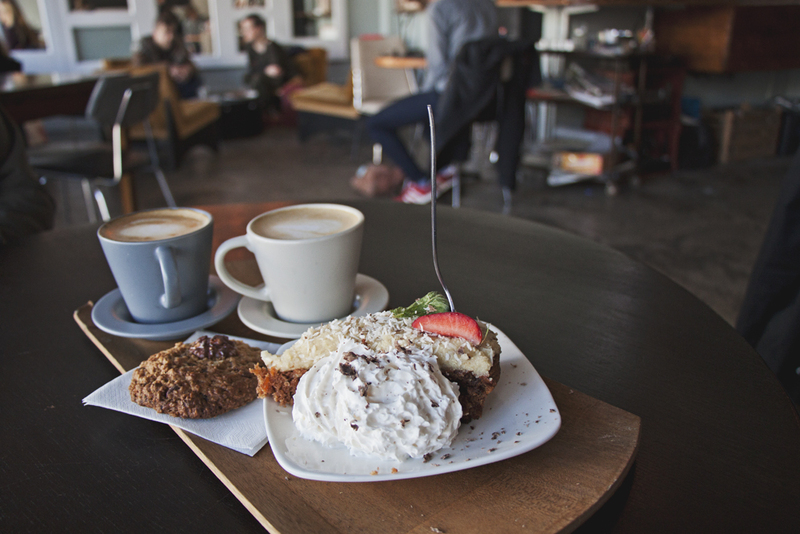 Babalu is a quirky, cozy, quiet, no frills cafe with a fun and kitschy interior and one daily vegan main option + 2 vegan desserts to pick from (whatever you do, don’t miss the carrot cake!) I had a delicious and filling chili with a slice of carrot cake and a soy latte to finish. There is a nice rooftop terrace if weather allows. A nice place to chill. And those are the restaurant I had time to visit I know there are a few more options out there, so please let me know if you think I have missed anything. This entry was posted in Europe, Iceland on April 5, 2019 by Amélie. Great! I haven’t visited Iceland yet but will surely keep this in mind!! My name is Sarah and I am from California. I am planning a visit to Iceland for the end of March (2017). I had a few questions that I was hoping you could help with. From what I read traveling around my rental car is best for visitors. I would like to take a lot of day trip to be able to experience as much diversity as I can. Do you think it is best to stay in Reykjevjík? And then just come and go daily? I have also read that eating out is pricey, so I should plan on preparing most my meals and hoping trying some of this great restaurants. Would it recommend an Airbnb or hotel for accommodations? Thank you so much, any resources or tips are much welcome! Great post. But it would have been helpful if you had commented about the food prices, just so we can get a sense of what we are in for when we head out there. Thank you. Thanks Joe, and very good point! I can tell you that food is generally quite expensive in Reykjavik and most of these places will be in the realm of $20 USD or so for a dish. Hi Amelie, thanks for the post, we are going there in September and the information is very helpful. Thanks for posting. Thanks so much for the blog. I went to Vinil, Glo, Aalto and Cocoon. All were great! 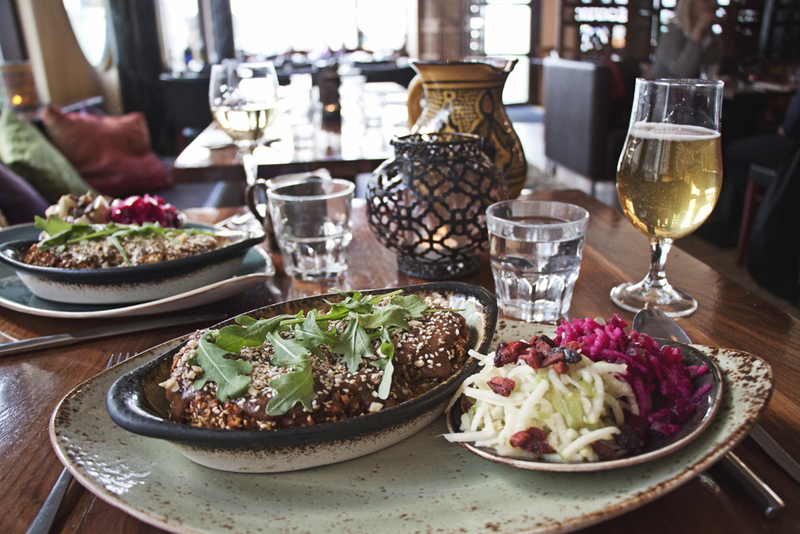 You should try Teni, an ethiopian restaurant, in Reykjavik. Very helpful info! Going to Iceland in a year and as a gluten-free vegan I am somewhat nervous but think I will be okay lol! Me too! I’ll be there in March. I’ll let you know how it goes! I have to recommend PREPP coffeehouse on Rauðarárstígur close to Hlemmur. They have loads of vegan options 😀 Oatly milk, banana bread, apple pie, cream cheese avocado bread and even pulled jackfruit sandwich! Whhhhaaaattttt! Are they new? Thanks so much for the heads up, can’t believe I missed them!! Such a helpful guide! 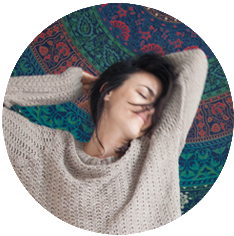 Beautiful photos too – thank you! Oh don’t worry at all, it’s great!!! 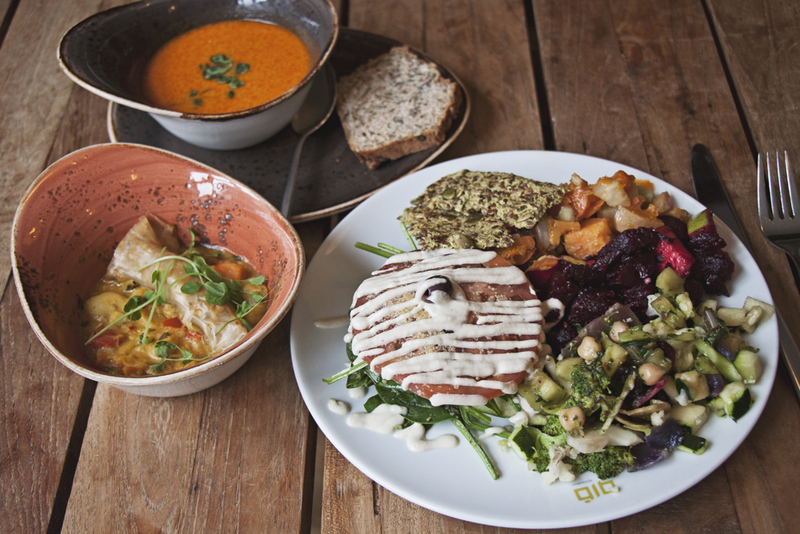 Hi, there’s a restaurant called ‘ROK’ that has delicious veggie and vegan options as well! Plus they can make a lot of the veggie options vegan if you ask them. Super friendly staff and the food was amazing. A bit pricy, but so is everything in Iceland so yeah. Kaffi Vinyl is unfortunately no longer vegan. I was in Reykjavik in mid-March 2019 and it was closed for renovations. When they recently reopened, it was not as a vegan restaurant. I couldn’t fine a menu, but recent reviews I found said there were little to no vegan options.